Raccoons may pass as some of the most humble rodents around but this is not until you see them snorting around trash cans with their curious and mischievous looks. These animals are harmful just like the rest and they should never be entertained around homes of the business premises. Just by spotting one around you living space, this is a sure sign that others are still hiding inside the trash hence you need to seek raccoon removal services from experts immediately. Failure to do so can lead to increased number of the rodents as well as increased chances of them passing over terrible diseases to you and other members of your family. 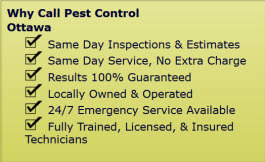 We have been offering such services and other pest control and animal removal services to businesses and homesteads in Ottawa and we are the best suited to do the job for you. Our services will first involve inspecting your homestead in order to determine the exact source of the raccoons and also assess the extent of their infestation. Since not all the infestations are the same, we will come up with a customized solution which will be most suited for controlling or removing the raccoons from your home. 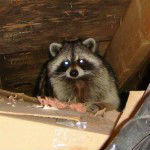 Then finally we will apply our skills in pest control raccoon to remove all of them and keep your premises free. But we won’t leave your premises before conducting an expert analysis and make the necessary recommendations for your implementation to avoid future infestation by the raccoons. Working with us for the purposes of pest control raccoons is very different as working with just any other company. You will enjoy a great deal of professionalism in our services as we strive to meet all your expectations. You will also love our amazing rates which will make the cost of removing the raccoons so affordable. 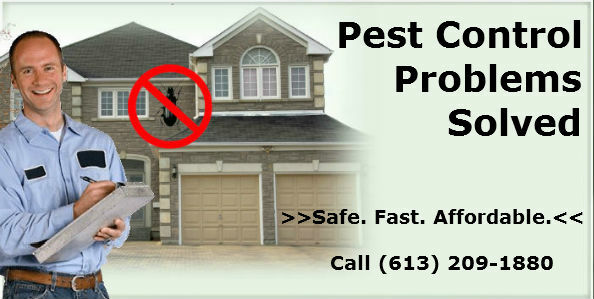 Therefore, get in touch with Pest Control Ottawa today so that we bring to an end the raccoon infestation of your compound. Our service area includes Ottawa, ON and the surrounding areas. Raccoon Control and Removal Services in Ottawa, ON call (613) 209-1880.